The 11th edition of NeoCon East, the sister show to Chicago’s summer contract furniture fair, was held October 16 and 17. Despite the government shutdown that legally prevented some GSA employees from attending, more than 7,000 visitors attended the show at Baltimore‘s Convention Center to peruse the wares of over 250 exhibitors. Keynote addresses from Michael Graves—who launched a new collection of textiles with cf stinson—and Suzanne Tick were augmented with ongoing educational seminars. Designed in collaboration with San Francisco–based industrial design firm Mike & Maaike, the freestanding benching system (above) is designed with steel and MDF for both durability and flexibility. A center deck can support video and computer monitors, storage, and LED lamps with a concealed four-circuit, eight-wire raceway. 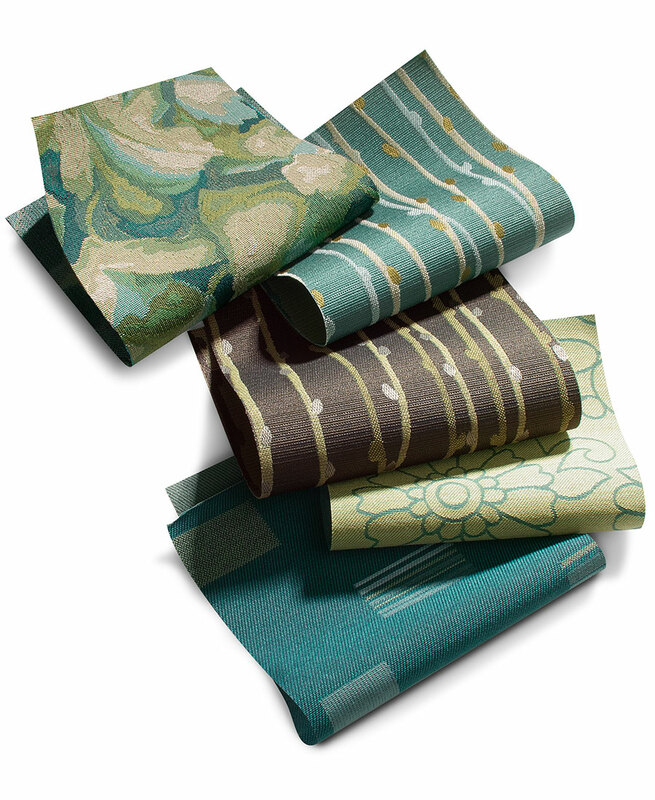 New at NeoCon East, the Vistas collection of upholstery and privacy curtains is Michael Graves‘ third collection with cf stinson. Six unique patterns render abstractions of the natural environment in soothing blue and green tones. 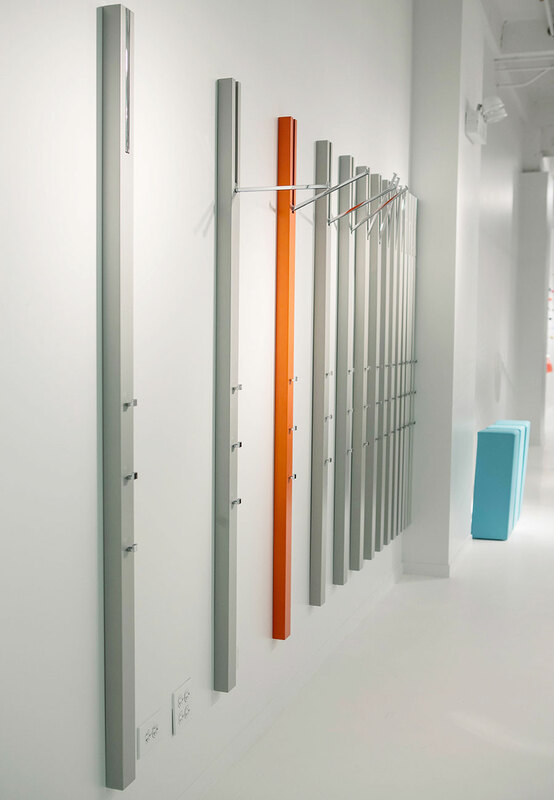 Part of the Elements accessories collection, Line is a flush-mounted vertical storage component designed by Apartment 8. A slim, recessed stainless steel bar folds down from the top of the beam, with additional hanging storage on three square knobs in vertical succession below. Line comes in 12 vibrant colors, as well as natural oak or walnut. Designed by the late Niels Diffrient, the eponymous Smart task chair features ergonomic comforts like Humanscale‘s patented weight-sensitive recline mechanism that automatically adjusts to the weight and height of the sitter. 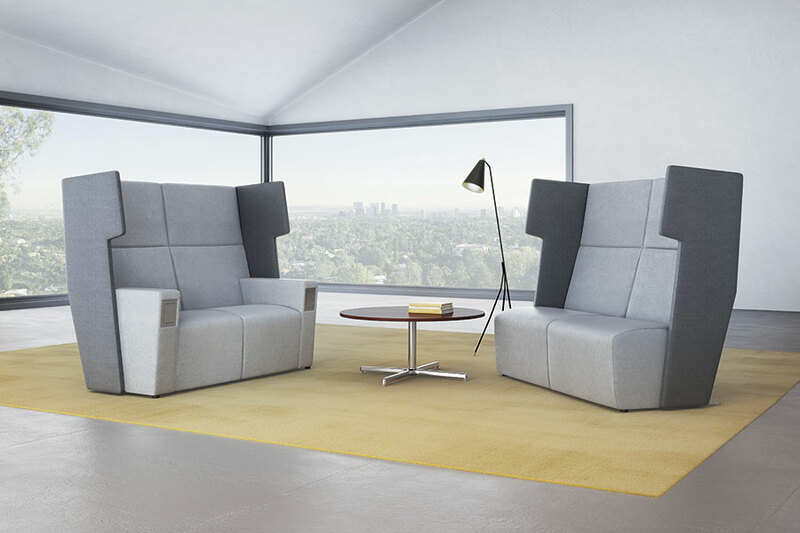 Three panels of proprietary Form-Sensing Mesh adjust to various body sizes, and armrests are attached to the seat back, as opposed to the seat pan, to echo the chair’s angle of recline sans additional adjustment. 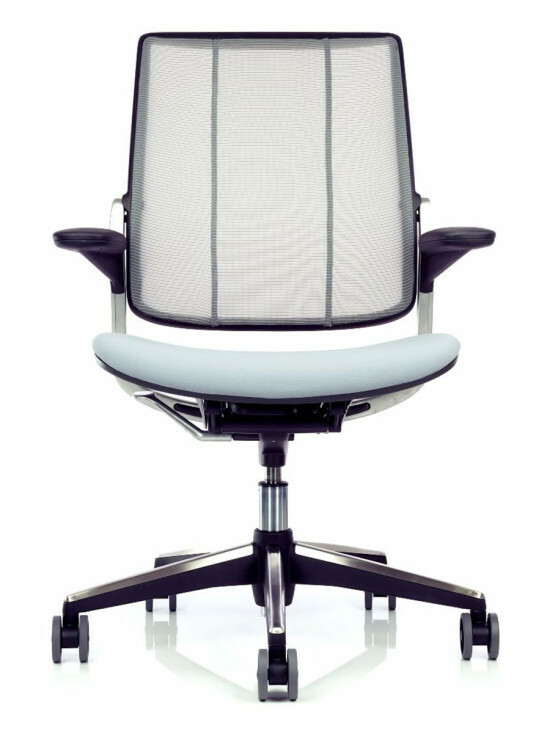 A mesh back and seat on the PolyChair provide maximum user comfort and stacking capabilities—30 high on a dolly and 10 on the ground. 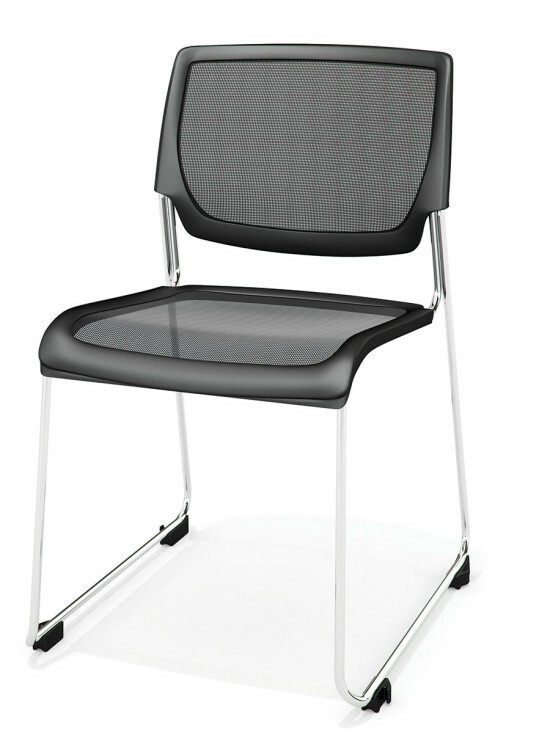 Available in five different colors, the polished chrome sled base also features black plastic tabs for ganging. 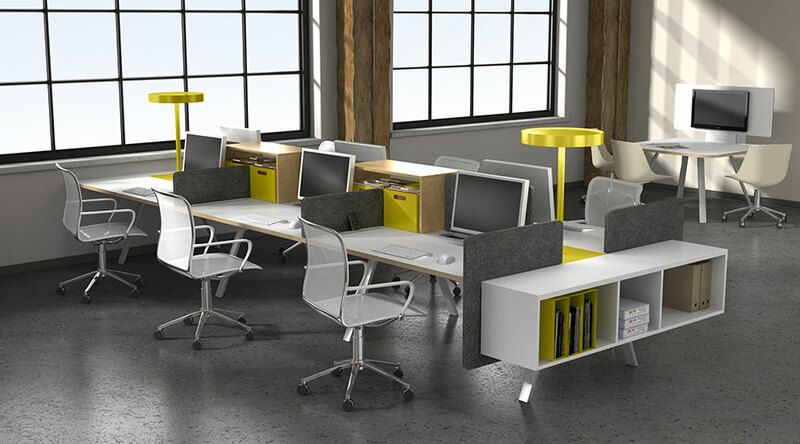 Available in a variety of sizes, configurations, and color combinations, Focal Point is a power-integrated seating solution for individual work and break-out group sessions. The angle of the back supports lounging posture, while the exaggerated wings provide a sense of user privacy. An optional 6-inch arm is sized for tablet usage at a table-top height. New at NeoCon East, the line of luxury vinyl planks and tiles comes in 90 SKUs of natural looks, from bamboo to sandstone to steel. Custom shapes can also be specified from Tarkett’s Alabama production facility. The collection contains 53 percent pre-consumer recycled content and is FloorScore certified to contribute to healthy indoor air quality. Sourced from the bark of living quercus suber trees, the sustainable upholstery material is naturally stain and water resistant. 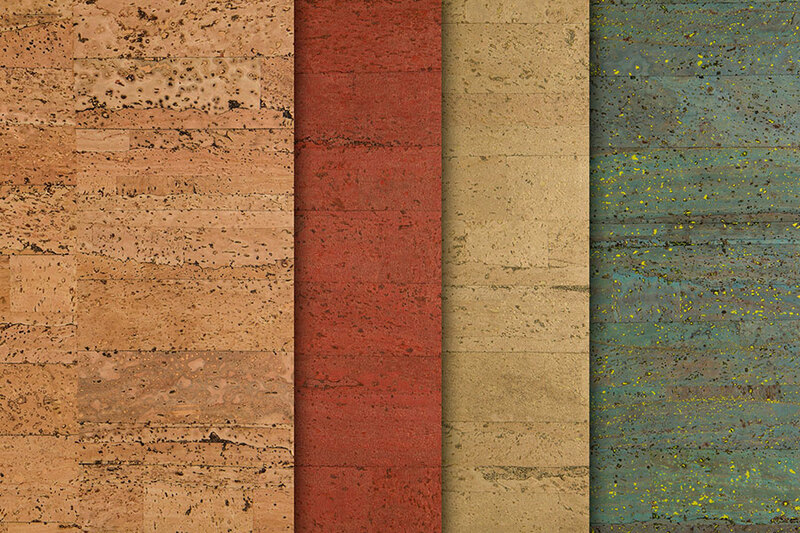 Wolf-Gordon’s cork textiles exceed 100,000 double rubs and come in four natural colors.